Ellie Davison is already nostalgic for the early days of Firefly. She talks about past concerts in the sprawling woodlands of Dover, Delaware with the same reverence that a gray-bearded Deadhead might reminisce about Woodstock, even though Ellie is only 24 and the first Firefly Music Festival was just three years ago. 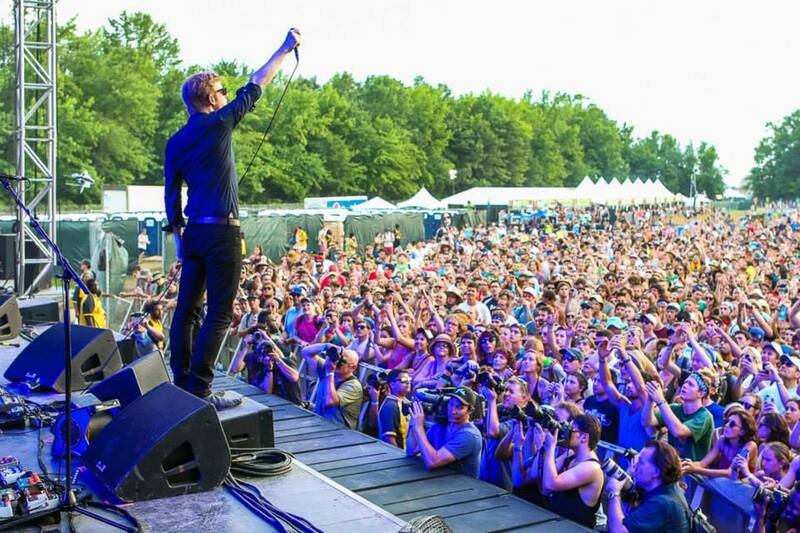 When the Firefly Music Festival launched in July 2012, it was an instant success. That first year brought The Killers, The Black Keys, and dozens of other major artists to play at an event that felt like a positively-enchanted, seamless integration of music and nature, a large-scale festival that nestled its attractions among the trees. In contrast, this year’s event, held from June 18 – 21, felt more like the festival steamrolled its way through the natural landscape. Consider, for example, the beautiful simplicity of the Hammock Hangout, a shady little clearing where festivalgoers could cool down and catch a nap on community hammocks that were centrally located to the larger stages, but secluded enough so that the music didn’t overpower. In previous years, concert-goers could breeze in and breeze out of the area with no trouble finding an available hammock. At this year’s concert, however, the wait for a hammock on the first day was about 30 minutes, and festival employees were needed to preside over the entrance and direct the line. While the Firefly staffers were very friendly, it still seemed odd that this sleepy little nook of forest potentially required bouncers. Circumstances such as these imply that 90,000 people is too large of an audience for this venue. Yes, that’s correct, the Firefly Music Festival drew 90,000 people this year. The event has seen 200 percent growth since the 2012 festival, which was already considered successful at 30,000 people. To put the magnitude of that crowd into perspective, consider this: Firefly 2012 featured live performances from Awolnation, Cold War Kids, and Walk the Moon. You could see the same three bands again this year, but with an additional 60,000 people standing in your way – and some of those people were pretty tall. With three times the crowd populating the same plot of land, you started to wish that you’d never told your friends about this show. To be fair, the skyrocketing attendance rates have been essential to, and arguably justified by, an increasingly amazing lineup. This year’s Firefly featured Paul McCartney, Kings of Leon, The Killers, Morrissey, Snoop Dogg, Foster the People, Modest Mouse, Cage the Elephant, Hozier, Kid Cudi and Bastille. When Sublime is fourteenth-billed on the roster, you know you’re rolling deep. And with a former Beatle on the payroll, I suppose you need to sell 90,000 wristbands. Sir Paul’s Friday night performance was, by many accounts, the highlight of the weekend, astounding a lot of new fans who had otherwise written him off as some artist their parents like. While 25-year-old Electronic Dance Music star Zedd was essentially pushing the play button over and over at The Backyard Stage, 73-year-old McCartney was roaring through Helter Skelter and Live and Let Die with blazing pyrotechnics. And then, on Saturday night, just before Kings of Leon were due to hit the stage, the festival encountered a giant proverbial needle scratch. The storm clouds that had been looming on the horizon for most of the weekend finally rolled forth, bringing torrential rain and 60mph winds to a venue that was already muddy from the start. Red Frog Events, the company behind Firefly, had no choice but to announce an evacuation. The thousands of festival goers who slogged back to their motel rooms and RVs were the lucky ones; the unlucky ones, the thousands of campers who had previously been making do in pop-up tents, were advised to take shelter in their cars. The evacuation was in the crowd’s best interest, of course, but it came together with all the grace of a 90,000-person fire drill. Rain fell, tents blew away, and thousands of shoes were lost to seemingly bottomless pits of black mud, never to be seen again. Once the waterlogged festival-goers reached their cars, the extensive foot traffic became extensive automobile traffic. By Sunday morning the festival was back on, and the morning brought a proverbial rainbow to those who returned. Though Kings of Leon abruptly cancelled their Firefly plans, so did thousands of other people: festival representatives estimated that 10,000 – 15,000 fans who left the show on Saturday never returned for Sunday. It was musical fan Darwinism at its best, with Mother Nature helping to thin the Firefly ranks. Everyone who stuck around for the event’s final day was rewarded with a slightly-improved view of the stage. Though the temperature continued to rise and the mud swallowed more shoes, it was a relief that waiting lines at the event were shorter than they had been on the previous two days. The Killers closed the weekend with an exuberant 90-minute set which included a pair of Kings of Leon covers. By sunset of Sunday night, I found Ellie Davison and her boyfriend Michael sleeping in a shared hammock as the music of Empire of the Sun carried through the trees. It wasn’t quite the Firefly of yesteryear, but for fans like Ellie and Michael it ended blissfully, thanks to Mother Nature.